மரண செய்தி கேட்டு எழுதியது இது. capitulate whoever were interested in reading. computer better. There were more fictions like " Moondru nimisham Ganehs, En Iniya Iyandira" and "Meendum Jeeno" which vividly captured my imagination in my formative years. His skillful mix of crime and science is unrivalled by any of the contemporary (or past) tamil writers. Sujatha wrote over 100 novels, 200 short stories, essays, stage plays, and popular articles on science. His fictional character of Gansh / VAsanth (lawyers) are extremely popular. Whilst Ganesh was the soft spoken, suave kind, Vasanth was more vibrant. Here is a sample of his style and science writing…. slim volume of poems. He was a regular contributor to topical columns in Tamil periodicals such as Ananda Vikatan, Kumudam and Kalki. He had a very wide readership, served for a brief period as the editor of Kumudam, and has also written screenplays and dialogues for several Tamil movies. He was a great scholar in Sri vaishnavism, could quote at ease alwar pasurams and was in fact writing detailed commentary for one pasuram a week in a popular weekly. days of personal computers. He supervised the design and production of the Electronic Voting Machine (EVM) during his tenure in Bharat Electronics which is currently used in elections throughout India. 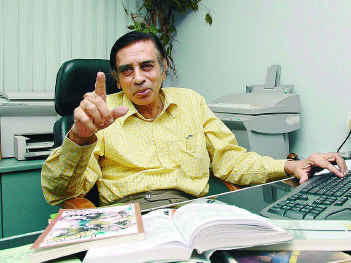 Sujatha received an award from Govt of India's National Council for Science and Technology in 1993 for making Science accessible to the public through his books, magazine contributions and other media. petrathum" in Anantha vikatan and "Sujatha Bathilgal" in Kungumam he sought to explain many complicate issues in a simple languid manner. 'Lateral thinking' was a hallmark techniques fluidly used by him. He had the uncanny knack of explaining some of the most difficult scientific concepts with amazing ease. . Here is an example:"you boil the lentils in the pressure cooker while cutting vegetables for the curry. that is parallel processing". If there is something which I am avidly fond of more than cricket, it was Sujatha……..
With deep anguish – S Sampathkumar.